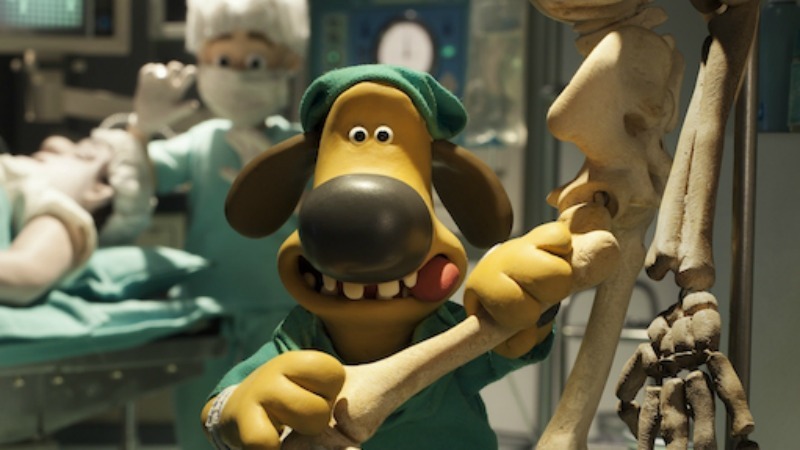 I might be exactly the type of person who makes mountains out of molehills, especially when it comes to pop culture, but even I have to admit that upon watching the charming and lovely Shaun the Sheep movie this weekend, I had to admit that there wasn't much left to say. I mean, the movie's really good and I can't think of many people who wouldn't enjoy watching it, but it's not particularly strong on its philosophical underpinnings. It rather speaks for itself, even if it doesn't have any dialogue in the film. 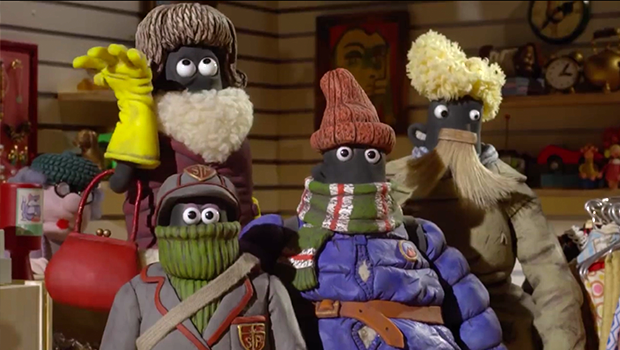 And while I can certainly appreciate a well-crafted film like this one, I'm not really one to wax poetic about stop-motion animation or the technical ability required to make this film. I'm a screenwriting nerd and I like stories. This movie, for all that it was simple, had a solid and understandable story that didn't have to keep us guessing, it just told a story we know and told it very well. So even though I could totally write two-thousand words on how Timmy the sheep is so cute I could die, I don't think that's a solid use of time for either one of us. 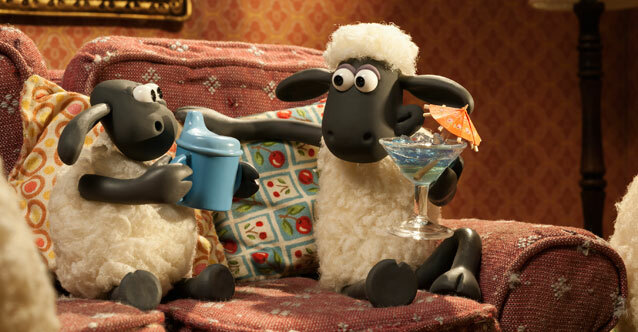 No, in thinking about Shaun the Sheep and thinking about it as a children's movie, I came to the conclusion that I don't really have much to say here. It's a very good movie with virtually nothing wrong with it, and as much as I love picking nits or finding weird obscure story elements to obsess over, there's not much room for that here. Anyway, Shaun was a very popular character (I myself once owned a fantastic Shaun plushie that's probably still around here somewhere) and over time became one of the most popular characters from that studio. 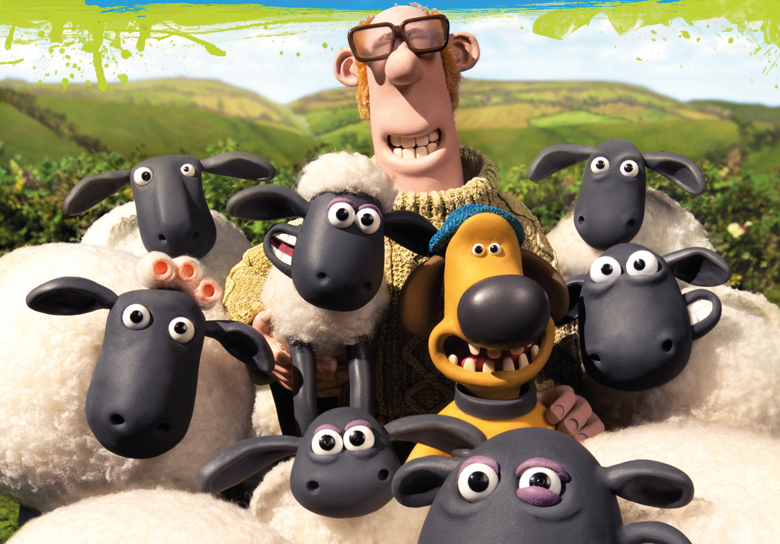 Several years ago they cleverly decided to spin his popularity off into a television series about Shaun and the other sheep and their adventures on the farm. This series, which features a variety of farm animals and a Britishly befuddled farmer, became popular enough, in turn, to spawn this, the Shaun the Sheep movie. Bam. Full circle. By contrast, the minions are from the Despicable Me movies, and while those are really solid computer animated films, they're not "descended from a long line of claymation masterworks" good. My main reason for wanting to compare these two films, though, is not because they're both spinoffs of other franchises - though they are - and not because they're both children's movies intended to also be enjoyed by older audiences - but that's true too. 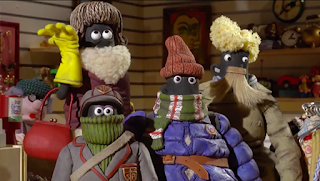 Nope, the real thing that caught my attention here is that in both Shaun the Sheep and Minions, the main characters do not have any recognizable dialogue. Well, maybe that's a stretch. The minions do have some dialogue: they can say "banana" and a variety of other recognizable words, but for the most part their dialogue is all about intonation and facial expression rather than understandable vocabulary. And granted, the humans in the Despicable Me movies do speak intelligible language. But the point remains that the main characters do not. Similarly, in Shaun the Sheep, the characters don't actually have lines, they just have sounds. This goes for everyone, even the farmer. No one has a stitch of dialogue, just some very expressive sound effects and squeaky noises. This is actually pretty great when you think about it. Without the verbal component, these stories are more universal and can be shown to more audiences without the effort of having to dub them. It's the same reason why Pingu has translated so well. We like stories that can essentially explain themselves, and developmentally speaking they're great for kids. 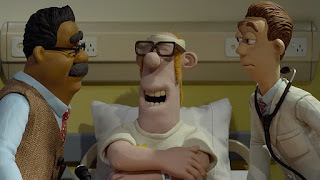 For all these reasons, I was interested to think about how Minions and Shaun the Sheep deal with telling stories that rely not on dialogue and obvious jokes, but on facial expressions, slapstick, pantomime, and intonation. And as you may have guessed from my intro here, I think it's safe to say that Shaun the Sheep kind of won this. Shaun and his sheep friends live on a farm. It's a nice farm with a nice farmer and even a nice farmer's dog. Shaun and his friends get into lots of trouble and have a lovely time, but sometimes the daily routine can be a bit much. Sometimes you just want a day off. So, one day, Shaun decides that instead of doing sheep things today and helping the farmer with his ever-increasing to-do list, he and the sheep are taking a day off. They distract the dog, lock the farmer in a camping trailer to get some sleep, and proceed to party and have fun. All this is well and good, except a series of hilarious and slapstick mishaps find the trailer, which was secured nicely in a field, bumbling down the road to the big city where the farmer, utterly baffled about what's going on, hits his head and proceeds to get perfect movie amnesia. He forgets all about being a farmer or having sheep or any of that and is now stranded in the big city with no clue who he is. Shaun and the sheep might have enjoyed their free time at first, but the farmer's been gone a long time and they're getting worried. So Shaun goes off on a bus to the city to find the farmer and bring him home...and all the sheep follow him because, well, sheep. The big city is bigger than they planned, so it's hard to find the farmer. And while his faithful dog does track him down at one point, hospitals and dogs don't really mix and he loses the scent after being kicked out. So while the sheep are looking for the farmer the dog is in animal control lockup and the sheep themselves are being pursued by the world's angriest animal control officer. Oh, and the farmer accidentally parlays his sheep-shearing skills into a job as a trendy new hairstylist. Stuff happens, Shaun is caught by the animal control officer but the other sheep bust him and the dog out, picking up another dog friend along the way. Then all of them find the farmer, only for him to not recognize him and shoo them away. Heartbroken, the animals mope in the dump for a while before Shaun decides the best way to fix his mess is to bring the farmer back to his farm so he'll regain his memories. Another series of wacky hijinks ensue, including a frantic battle with the crazed animal control officer, and eventually all is set right. The sheep and the dog and the farmer are all back on the farm like nothing ever happened, but now they're all just a touch more appreciative of the lives they have and a bit happier in going about the daily routine. That's basically the whole movie. Like I said, a pretty simple plot and not a hard film to follow at all. To be totally honest, I don't think Shaun the Sheep actually needs dialogue and adding it would genuinely detract from the experience. Watching this film reminded me of being a little kid and watching my grandfather's extensive collection of silent films - Buster Keaton and Laurel and Hardy and Charlie Chaplin all knew how to tell a story without needing any dialogue in order to get the point across, and clearly that skill is still alive here. Even better, the simplicity of the plot by no means detracts from its emotional resonance. We in the audience feel truly gutted when the farmer shoos Shaun away and we're really happy when everyone is reunited at the end. Because these characters don't have a huge amount of story to get through, we're allowed to sit with them in their character development and begin to empathize and relate to them on a very human level. In contrast, Minions seems to have gone the exact opposite direction, choosing to tell an incredibly complex story with a lot of twists and turns that doesn't allow sufficient time for us to become comfortable with the characters and their emotional states. Sure, some of my antipathy towards that movie was based on how sexist and insulting it was, and granted I'm really not the ideal audience for all those really stupid fart jokes, but I still maintain that it was possible to make a good Minions movie. It just would have required them to do everything the opposite of what they did. 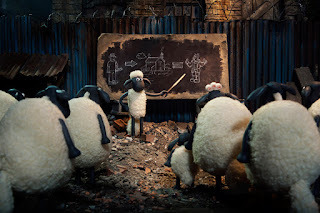 If Shaun the Sheep has taught us anything, it's that small is sometimes better. The story in this film isn't an earth-shattering adventure and our heroes aren't really heroic in any large sense. It's about a bunch of sheep finding their farmer. That's it. There's nothing else really at stake, even when you count the power-hungry animal control officer. At most, the characters are in danger of being sad and alone, which is awful but not "blowing up the world" awful, you know? Because the story is so small, though, we are forced to decide if we care or not. The limited scope of this forces the filmmakers to make sure their story holds water and to emphasize the emotional core. Minions, by contrast, was made by people who had a virtually unlimited budget and resources, and so they decided to tell a really really big story. By doing that, they doomed themselves. Not because big stories are impossible to tell (I personally think Pacific Rim is both one of the biggest stories ever and one of the best), but because in a situation like this, where you are so reliant on nonverbal cues for emotional resonance and where your story cannot default to characters saying their needs and wants, a big story becomes a big liability. You need time to let us sit with the characters and come to know them. You just don't have that if you're busy setting up a massive action sequence. It's funny to look at these two films side by side and contemplate how genuinely similar they really are. I mean, both of them are spinoffs, as I said, and both of them are predominantly non-verbal, but there are also some really specific and funny parallels. Like, both movies feature a child-like younger character towards whom the main character feels vaguely paternal and protective, and this little character has a special stuffed animal that must be rescued all the time. Or how both movies feature characters who put on rubber gloves in a really threatening way. Both of them have characters who must leave behind the world they know for some important reason. Both movies feature their protagonists trying to fit into the human world and generally failing. 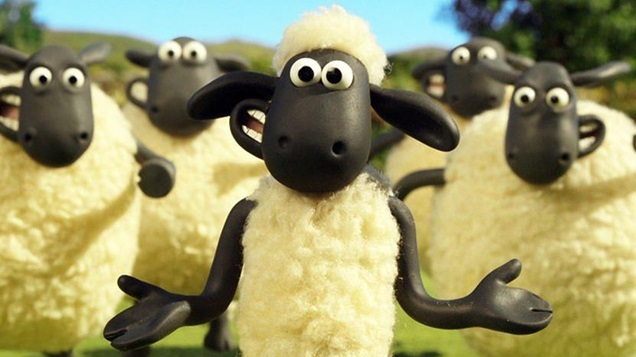 My point here isn't that Shaun the Sheep is a great movie and Minions is so bad that it makes me unhappy to remember it exists - though both those things are true - but rather that it's worth looking back and seeing why this movie is so much better than the other. By looking at precisely where Minions went wrong, hopefully we can prevent another one from happening. So, if there are any studio executives out there reading, here's my advice: limitless is bad. Constraints are a huge part of what makes art enjoyable. We love art for the way it adheres to some rules and breaks others, but art that breaks every rule isn't art - it's the visual equivalent of noise. I know that some of you studios have basically infinite money and resources, but that can be more of a hindrance than a help. You have to stop at some point and ask, "What is the story I'm telling here? When I boil all this down, what am I saying?" With Shaun the Sheep, I can tell you very easily that the story is about "be careful what you wish for." With Minions, I haven't the faintest. Stories matter, but they're also worth enjoying for their own sake. So give me a story that's sweet and true and exactly the size it ought to be, and I'll love it. Give me a bloated corporate tie-in that can't articulate its own plot, and I'll probably write a hilariously scathing review. But I won't like it. *Which, as you should know, is one of my favorite hobbies. **I feel like there are a lot of delightful puns like this that go unnoticed when British media comes to America. The most obvious, of course, being the whole Queer as Folk thing. In an American accent, saying someone is "queer as folk" is kind of a weird phrase, but whatever. People accepted it as the title of the show and stopped thinking about it. In a British, Northern accent, however, the title takes on a very different meaning because "folk" rhymes with "duck", giving the title a whole new and much funnier meaning. I love stuff like that.